This annual comprehensive human rights and advocacy course is the oldest of its kind in the region. The first course was run over four weeks in Sydney in 1990. It provides participants with a solid foundation of knowledge about the international human rights framework and the UN system. There are intensive sessions on advocacy and media skills and on using the internet, as well as exploration of some of the contemporary human rights challenges associated with globalisation. Since 1990, DTP’s flagship annual program has been held in Dili, Sydney, Bangkok, Kathmandu, Colombo, Suva, Manila and Wellington. 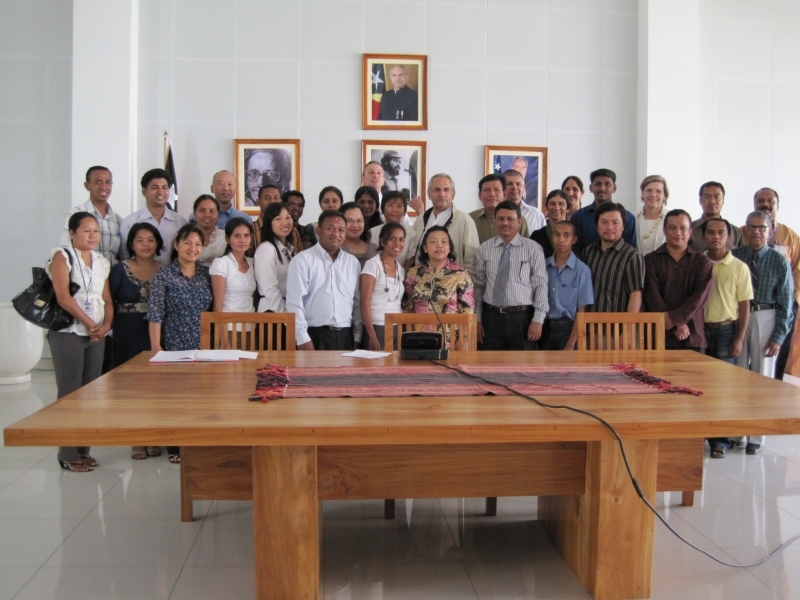 In 2005, 06, 09, 10, 11, 12, 12, and 2016 it was held in Timor Leste, the homeland of DTP's Founder and Patron, Jose Ramos-Horta. The program is for human rights defenders from Asia-Pacific countries and Indigenous Australia who work for and with non-government, community-based organisations and development agencies. It is for those committed to developing and sharing their knowledge and skills in human rights advocacy. Priority in selection goes to active human rights defenders in the Asia-Pacific Region and Indigenous people working with NGOs. Consideration is also given to ensuring a gender and geographical balance within each course.